CheeCha Puffs Is Peanut-Free For School & Hallowe'en! Find CheeCha Puffs Single Serve Bags Exclusively at Bulk Barn! I first wrote about CheeCha Puffs back in April 2012, when I was looking for an alternative to chips for my kids. 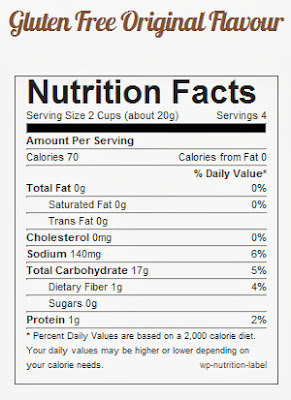 At only 70 calories for 2 entire cups of CheeCha Puffs (original flavour), I thought that there was a lot of snack packed into CheeCha Puffs. After my kids (and their mom) sampled the CheeCha Puffs flavours, it confirmed that this was not just a low cal snack, but also a tasty one! 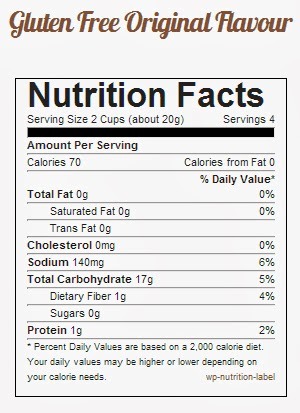 Only 70 Calories Per 2 Cups of CheeCha Puffs! Of great importance to me as a parent of school-aged kids, CheeCha Puffs are peanut-free and tree nut-free...and 5 flavours are gluten-free (look for gluten-free packaging for select flavours)! My children's school is peanut-free, which means only peanut-free lunches and snacks are permitted. That's why it's great that Bulk Barn sells the single serve size of CheeCha Puffs, which are perfect for school lunches or to hand-out for Hallowe'en trick-or-treating! Meet the CheeCha Puffs Snack Size Flavours! Have you ever tried CheeCha Puffs single serve size bags before? Terrific flavours include: Triple Cheese, Sea Salt & Spiced Pepper, Crispy Dill Pickle, Original, Smokey BBQ, and Sea Salt & Vinegar! It's still a source of debate in my household, but I love the Triple Cheese, my kids swear by the Crispy Dill Pickle...and we all agree to disagree! Find CheeCha Puffs single serve bags at these Bulk Barn locations. Find large-sized bags of CheeCha Puffs at these retailers! Follow CheeCha Puffs on Social Media! WIN 1 of 3 cases of CheeCha Puffs single serve snacks (16 bags each)! Contest open to Canada, and ends on Monday October 28th, 2013! Do allow a few weeks to receive prize, flavours shipped subject to availability. Leave a COMMENT below stating which flavour of CheeCha Puffs you would like to try OR if you've already tried CheeCha Puffs (and if so, what's you're favourite flavour). Then, fill out the entry form below to enter the contest. GOOD LUCK! I would like to try the Sea Salt & Spiced Pepper. That sounds good! I've tried them all and I really can't choose a favorite cause I like all of them pretty much equally. I have tried them all and I can't choose a favorite because I like them all pretty much equally. My family loves ketchup and the cheese flavours of chee cha puffs! My family loves ketchup and three cheese chee cha puffs! Never tried them but would try dill pickle and probably the bbq also!! The Sea SAlt & Spiced Pepper is calling my name! 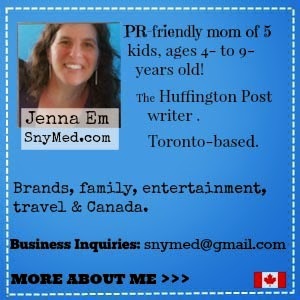 My promo Simple name is Julie G.
I would like to try the sea salt and vinegar! I would love the cheese flavour please. My favourite I've tried so far is the sea salt & black pepper. I would like to try the Triple Cheese or the Gluten Free Salt & Pepper! Never tried any but would love to try triple cheese! I would like to try the Gluten Free Sea salt and Spiced Pepper. We love the Cinnamon here in my household. Amazing , they are just the right sweetness , salty, and taste delish.. I would like to try the Sea Salt & Spiced Pepper flavour. i have tried the triple cheese before and it is awesome! I would love to try the dill!!! YuMMMM!!! I do love the triple cheese but would love to try others, especially sea salt and vinegar. The cinnamon flavour is the best one out there I could literally eat the whole bag! I like the Smoky BBQ ones! Ooo, these sound so good and they are perfect for my food allergy son. I think the Crispy Dill Pickle sounds yummy! Those look really good. I am raising my granddaughter and we stay sugar free, low fat. It looks like they have a lot of flavors to choose from! Would love to try the dill pickle. They look delicious! Love to try Seet Cinnamon! I love the triple cheese flavour!! I'd like to try the dill pickle flavour. I've tried all the flavours except for the Cinnamon one - that's next. Love the Smoky Bacon. I have never tried them, but would like to have triple cheese. We buy chee cha puffs all the time! the pickle is soooo good! Dill Pickle is my fav! I love that they have gluten free options. I love the crispy dill pickle ones! They're my fave and a great alternative to potato chips! I would love the salt and vinager flavour first! I am loving they have Halloween size packs at Bulk Barn! Makes it so easy with tricky allergies these days! I just checked out the News section on the CheeCha Puffs website and realized most of my favorite blogs have given positive reviews. Hoping a stumble across their booth at one of the many food related shows this fall and winter!